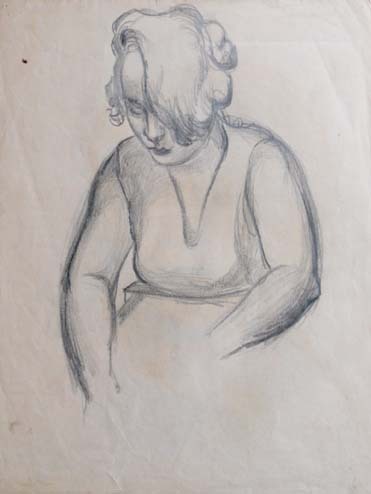 „Persuasion“, 1933, pencil on paper. Signed and dated „J. Hosp 1933“. 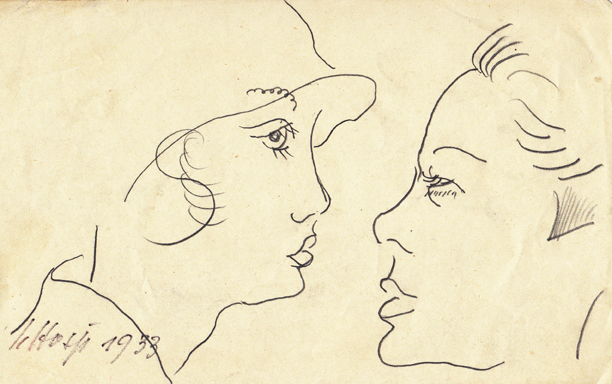 A very similar scene can be found in Eric Godals drawing „Seduction“ from 1925 located at the the Kupferstichkabinett Staatliche Museen Berlin. ca. 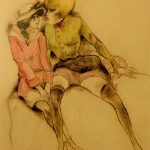 1925, black chalk, water color. 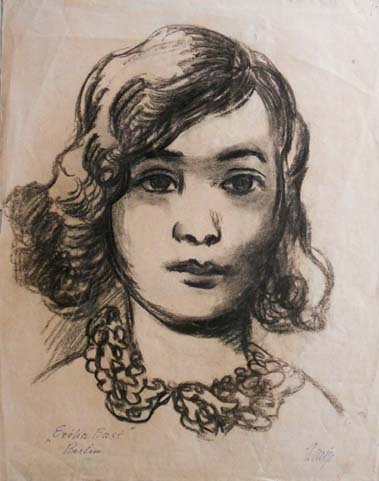 „Erika Bast“, Berlin 1930, charcoal on paper, signed „J. Hosp“.